Our KS EdTech Services group just returned from a retreat at the Punalu’u beach house. It was a great time of bonding and team building. Our managers did a great job of planning, and everyone contributed their talents. We truly enjoyed one another’s company. 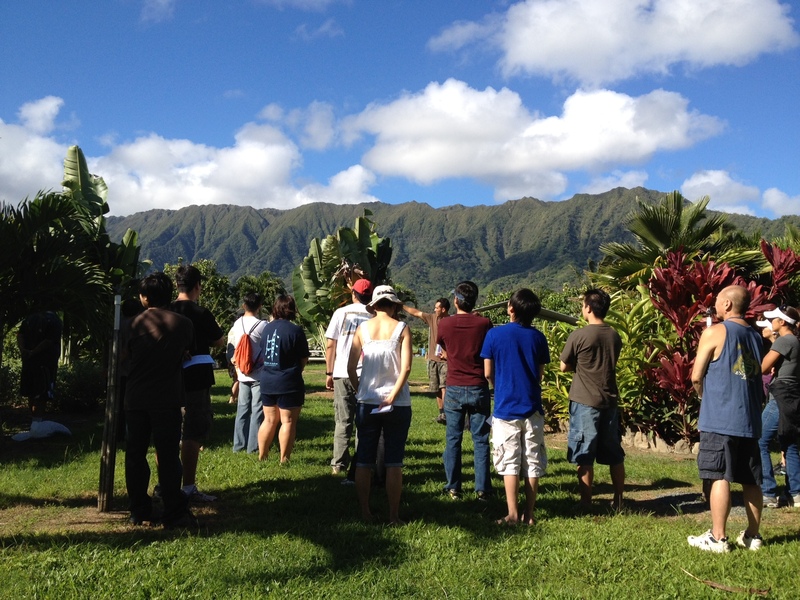 Day 1 started with a service learning project at the Nā Kamalei Discovery Garden. We did a little weeding, cleaning, and painting. We learned a lot and were very grateful for the opportunity. Here are a few pics from their blog. We spent most of the afternoon working on a video about what we had learned. Our dinner activity was an “Iron Chef” competition. We were grouped into small teams to create delicious, gourmet meals. After the judging, we were able to partake in all of the wonderful dishes. Following dinner, it was “Sunset on the Beach.” We had chairs and a projector set up on the lawn. We enjoyed everyone’s video production. We capped off the night by playing guitar in the backyard. Others were fishing, playing poker, or just hanging out. I consider that night to have been one of the worst night’s of sleep that I’ve ever had (or not had) in my life. “Thank God it was so short.” The flood lights were in my eyes, the metal rod from the broken army cot kept hitting my head, and it was freezing cold. To make matters worse, every time I dozed off, I was rudely awakened by a chorus of loud snoring…. Day 2 greeted us with a chilly morning and a gorgeous sunrise. Omelettes and hot coffee hit the spot. In fact, all of the meals were pretty fantastic. We had a craft activity and some really funny games. We had a guest speaker who gave a presentation entitled “Living on Purpose.” It really spoke to me. After lunch, it was time to clean up and wrap up. I am so blessed to be at the Kamehameha Schools. What a treat….